DJ controller with a 4-channel mixer, built-in drum sequencing, vocal processing, and the deep Serato DJ integration. The DJ-808 is an instrument, with a Roland “TR-S” drum machine that contains the world’s most iconic drum sounds, such as 606, 707, 808, 909 kicks, snares, claps and hi-hats and can even control the Serato Sampler within Serato DJ. 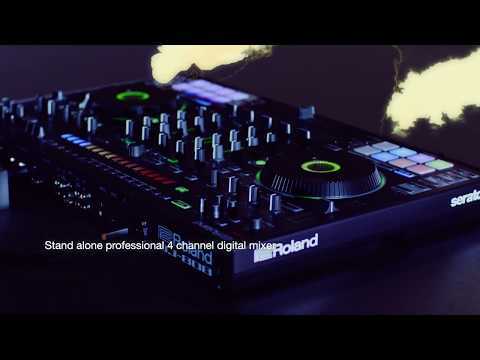 The VT Voice Transformer can pitch your voice to match the key of your Serato DJ tracks, while two AIRA Link ports let you connect compatible synths and electronic gadgets, and produce a live remix, with just a simple USB cable. Sound quality is high-end with the 24 bit and 96 kHz audio fidelity and the hardware is built tough yet easy to carry—ready for inspired sets that push the boundaries of what it means to DJ. Do you own Roland DJ-808 or have you had a chance to try it?